About :: Lithops Technologies Pvt. Ltd.
Lithops Technologies was started by a team of dynamic professionals who has experience in building complex technological solutions for the industry leaders. Our team has one thing in common- passion to develop quality products and win customers heart. We have assembled a team who has worked on products from successful companies like Netscaler (now Citrix), Ixia, Netilla Networks (now AEP Networks), Cisco, V-Enable etc. Our success is in making our clients successful and see them flourishing. Our motto is "Let's grow together". Our team comprises of best breed of professionals and has experience in transforming start-ups and medium size companies into global companies. There is a myth that India has an abundance of technically qualified and cheap manpower, but in reality there is an acute shortage of well qualified and experienced developers mainly for developing products. Hiring less qualified or inexperienced people may work for large IT products but this approach cannot be used for product development. We restrict hiring to graduates from top engineering institutes and train them on relevant technologies before assigning any project. 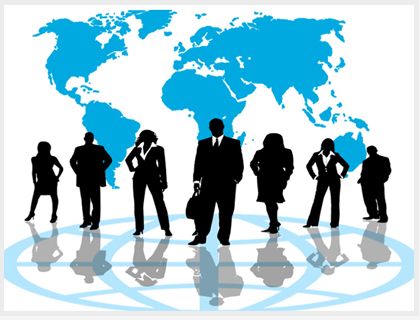 We don't compromise on the quality of human resource, we provide to our customers. We believe that "Employees are the biggest asset of an organization". At Lithops Technologies, we strive not just to deliver cutting-edge software solutions, but also ensure that our services add value for our customers. We believe that understanding our clients and their strengths enables us to provide solutions, which would ideally suit their requirements, and add to their competitive advantage. We strive to create new opportunities for our clients through our solutions. Our technical architects have the knowledge and skills in varied and latest software technologies to take intelligent decisions on the choice of technologies and design strategies that would best suit a particular problem. Our programmers excel in the craft of programming. Our solutions go through well-defined development stages, adhering to specified resources and schedule. Our standards and quality control systems ensure solutions of very high quality for our customers.